Get a timeless summer look with the Oska Tolina top. Beautifully crafted from pure linen, this lightweight and breathable sleeveless top is cut to a relaxed boxy fit for laid-back styling. The top features a round neckline, asymmetric seam detail, two darts and decorative contrast stitching for an eye-catching finish. 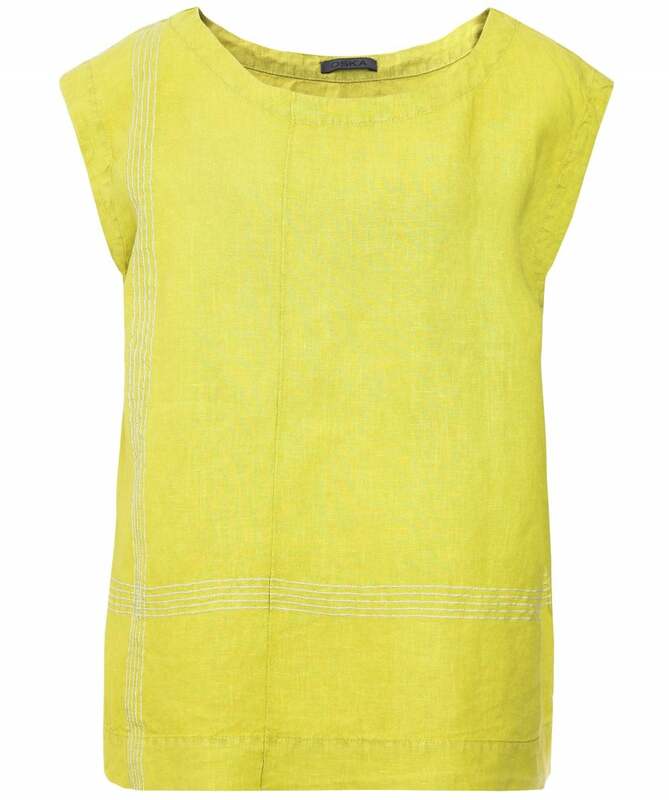 Wear this Oska top with casual linen trousers and sandals.